What a great giveaway to say “Thank You” to my readers! Vertical Printing & Graphics has generously sponsored this giveaway for a set of 50 Thank You Cards. There are 15 fun designs to choose from (like the one in the photo) or you can have cards custom printed with your name on them. These cards measure 4.25″ by 5.5″ and include envelopes. Laura, a mom and owner of Vertical Printing & Graphics, just sent me my new business cards that she designed and printed for me. I was so excited to receive them on Saturday because they turned out better than I dreamed they would! I’m turning to Laura for all of my future printing needs because she offers superb customer service, and offers great discounts to her followers on Twitter (follow her @VPG_Printing). If you order your holiday cards during October, Laura is offering 25% off the listed prices. Want to enter this giveaway for a chance to win? The email addresses that I collect for this giveaway will only be used for the purpose of contacting the winner. This giveaway will close on Monday, October 27 at midnight (CST). I’ll announce the first name of the winner in a new post the next morning and contact the winner by email. I will draw the name of the winner by using the random number generator at Random.org. If a winner does not contact me within 48 hours by email, I will draw a new winner. This giveaway is only open to residents of the United States who are 18 years of age or older. Vertical Printing & Graphics will mail you your prize after you select your design (shipping is included as part of the prize). Please only enter this giveaway once per household. This giveaway is now closed. I will be announcing the winner later today! Good luck and remember that you need to complete the form to enter this giveaway. You are welcome and encouraged to post comments here, but any comments will not be considered as entries in this giveaway. Just for fun, please leave a comment and tell me why you would like to win these Thank You cards. I’m thinking they would be great to have on-hand for writing thank you’s for gifts received during the holidays. Thanks for entering and come back Tuesday, October 28 to find out who won! I would love some fresh new thank you cards to use for the upcoming holidays! I would really like to win these thank-you cards for my daughter. She loves writing thank-you notes and her favorite color is pink. 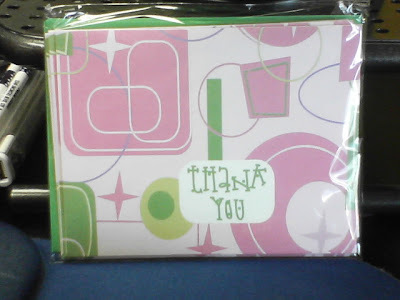 they are really cute cards, and a fun design, and who can’t use new thank-you cards? thanks. These cards look beautiful. Thank you for the opportunity to receive them. Due to the upcoming holiday season, these cards would come in very handy. They are very cool looking. I will be visiting her site. Hi,The “Thank You” cards would be so useful for me…I am a full time stay at home mom and when I need to express my appreciation and thanks to someone who has done something for me/my family, I usually call them up to say “Thank You”. Giving a card to express the same would be so elegant and considerate. These are precious!!!! I write lots of cards and notes to people and I can always use more!!! Hi, I would love these cards because it seems like I am always receiving gifts for my son Aedan, and I would love a cute, pretty way to say ‘Thank you’ back!! I am writing thank you notes for the items we received and meals after our son was born almost 4 weeks ago! Having a baby in March, and these thank you cards would be perfect to send to friends & relatives.Michelle H.
I would love to win these cards. My son has been very sick for a year. So many friends and family have been supportive and I am always writing thank you notes.Thanks for a chance to win and have a great day. I have alot to be thankful for right now, and it has to do with so many people who care about me and are praying for me over a recent diagnosis related to cancer. Who couldn’t use some great thank-you cards?!? And these are so cool. Thanks for the give-aways this week. A fun way to celebrate a year of freebies for us Moms! 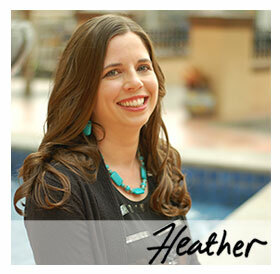 HI Heather…yet another great giveaway from you! These cards would be perfect for hubby and me…we’re about to celebrate our first anniversary! With the holidays coming up, and my daughter’s birthday as well, we would totally use these!